Andromeda is a variety of albus lupin with considerably better tolerance to the disease anthracnose (Colletotrichum lupini) than Kiev Mutant. It allows albus lupin to be cultivated in the medium rainfall zone without the risk of serious loss from disease. From the break of season to about three weeks after crop emergence, monitor for redlegged earth mite, lucerne flea, cutworm and bryobia mite. On the south coast also check for balaustium mite. Always monitor for pests because in some years serious damage can occur, even though Andromeda produces large robust cotyledons and is reasonably tolerant of early season insect pests. The strategy to control these insects will depend on which is the major pest. An appropriate insecticide applied with a knockdown herbicide can be effective for controlling these insects if they are present on the weeds before sowing. If redlegged earth mite and bryobia mite are not present on the weeds before sowing, then apply a bare-earth spray just prior to emergence of the crop. Monitor for aphids from budding through to early podding. Apply an insecticide if more than 30% of the plants have clusters of aphids on them and some leaves are beginning to curl from feeding damage. Andromeda, like Kiev Mutant, is reasonably tolerant to aphids. Monitor for native budworm during podding. Spray thresholds have not yet been developed for Andromeda, but as a rule of thumb spray insecticide if there is more than one budworm per 10 sweeps of a sweepnet. It is important to seep the crop in several locations over the paddock. The timing of insecticide sprays is critical for protecting yield. Do not wait for the caterpillars to grow. Native budworm is potentially the most serious insect pest of Andromeda. Depending on soil type, Andromeda will tolerate the same level of simazine before sowing as the old narrow-leafed lupin varieties Illyarrie, Chittick and Danja. Simazine is more active and more likely to cause crop damage on acid, coarse textured, sandy soils than neutral clay loams. Simazine rates above 2L/ha are not recommended, even on good clay soils. Trifluralin (up to 1.25L/ha depending on soil type) can be mixed with simazine, if grass weeds are anticipated to be a problem. Andromeda is also tolerant of diuron and an application of 1L/ha simazine and 1L/ha diuron is commonly used. Most of the herbicides used on narrow-leafed lupins can be used safely on Andromeda. Registered herbicides include Brodal® (100-200mL/ha) and Lexone® (150g/ha), which can be applied 4-6 weeks after sowing. Other herbicides may become available when labels are updated. Simazine can be used post-emergence but the total pre and post-emergent rate should not exceed 2L/ha. Brodal® and Lexone® can be mixed for post-emergent application, but Brodal® and simazine cannot. 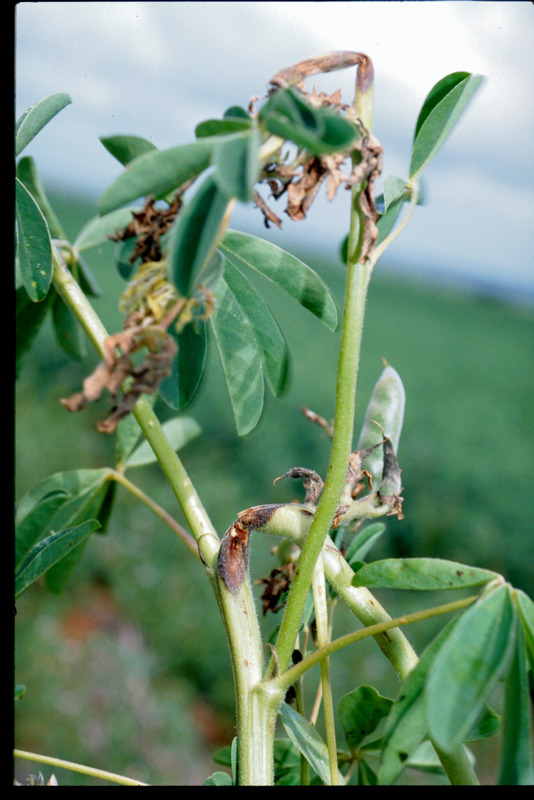 Brodal® and simazine applied together have caused damage and yield reduction in the past. A wide range of grass selective herbicides are also available. Anthracnose causes bending and twisting of stems, leaves and pods. Lesions that are dark brown with a pinkish or light orange coloured spore mass occur in the crook of the bend (left). 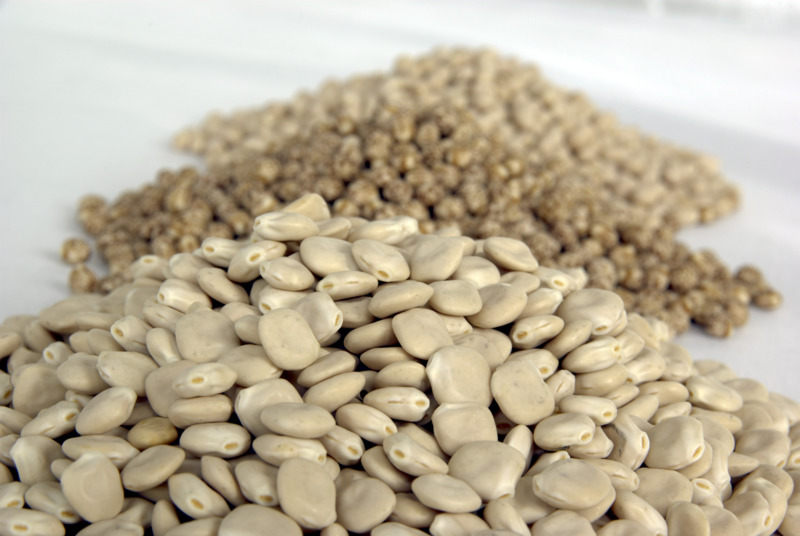 Infected seeds are often malformed and discoloured. Anthracnose causes loss of yield by infecting, then killing, flowers and young pods. In severe cases infected stems collapse. Andromeda is moderately susceptible to brown leaf spot, pleiochaeta root rot and bean yellow mosaic virus (BYMV). The levels of tolerance to these diseases in Andromeda are similar to Kiev Mutant and Mandelup (a narrow-leafed lupin). Andromeda, like other albus lupin varieties, is immune to cucumber mosaic virus. Do not sow Andromeda in areas receiving more than 400mm of annual rainfall where anthracnose is known to have occurred. Most of the northern agricultural region is a known anthracnose region. Only use seed that has been tested and found free of anthracnose. Inspect plants before harvesting to ensure seed kept for next year comes from a clean area of the crop. This will help increase the chance of anthracnose remaining at non-detectable levels in seed tests. Dress seed with Thiram® and iprodione or procymidone (for example, Rovral® or Sumisclex®). Thiram® helps control anthracnose. Iprodione and procymidone help control brown spot. Isolate the crop from potential sources of fungal and BYMV infection. Do not sow Andromeda in areas where blue lupins are commonly found. 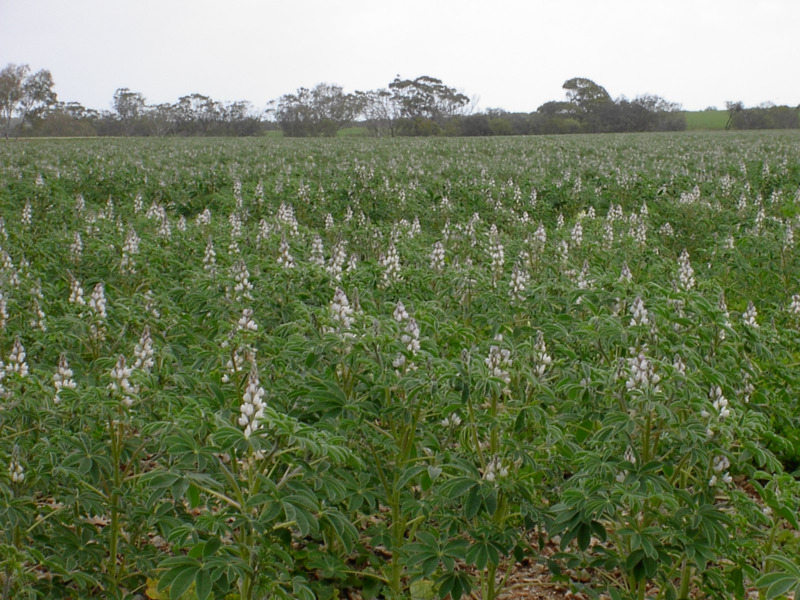 Ensure that at least one year has passed since any lupin species was grown on the paddock currently selected for Andromeda. If possible, avoid paddocks adjacent to legume pastures, which are usually a source of BYMV. Maintain adequate cover of stubble on the ground and promote early canopy development by sowing at recommended seeding rates (45 plants per square metre) and applying recommended amounts of fertiliser. This will reduce the spread of brown spot by rain-splash; it will also reduce the spread of virus by reducing aphid landing rates and shading out virus-infected plants.